All of the quotes above are directly from clients using our new StayNTouch Rover PMS. There is an interesting theme evolving related to ‘a new beginning’ that is being fostered by innovative property management systems, and StayNTouch is proud to be at the forefront of this [r]evolution. The hotel property management system has been around for a long time, and unfortunately for the industry, it has evolved very little over time. Yes, features and functions have been developed, a plethora of interfaces have been added – yet the baseline for a PMS has remained virtually static. For the hospitality industry, times have changed dramatically over the past five years. The introduction of development capabilities that almost any qualified technology company can emulate has somewhat leveled the playing field. However, most of these new “solutions” making waves in the market are actually nothing more than periphery-focused apps that once again place the pressure on the PMS technology to find a way to integrate with them. These apps are often focused on guest engagement, back of house, time management and the list goes on and on. The challenge becomes evident when these new and innovative apps or platforms want to connect with older (legacy) property management systems. A new beginning starts with throwing out our preconceptions of what matters most and what a hotelier needs to be successful in the current highly competitive environment. The main challenges that hoteliers face need to be addressed, and today, one of the leading challenges is delivering a memorable guest experience that is tailored to the unique needs/wants of each individual guest. Long gone is the era in which a hotel has to be constrained by their technology. Hoteliers should be unrestricted, with the freedom to do what they want to do and partner with whomever they wish – irrespective of platform, operating system or integration language. As a hotelier, you need a system that pushes you to stay current and remain flexible enough to implement any number of new systems at any given moment to meet your goals. When reading the client testimonials at the start of this article, one of the particular operational pain points that stands out is one that hoteliers have struggled with for a long time – the management and optimization of their staff. Specifically, ensuring that staff members at all levels feel comfortable and empowered using the tools and technology available to them to excel at their jobs and deliver world-class guest service. When it comes to technology, especially in a high-turnover industry, ease of use, adoption and training is at the top of the list. A hotel’s staff is among the most valuable assets and older PMS’ are incredibly cumbersome to use and tough to learn – ultimately leading to high upfront soft costs (time) and hard costs (training). 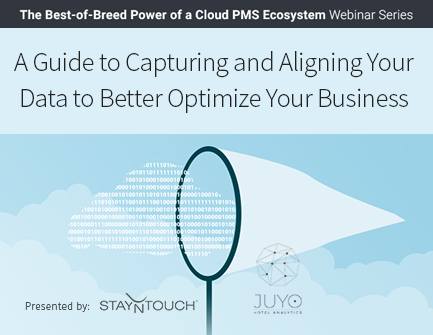 In contrast, Rover PMS is a user-friendly, intuitive, cloud-based system that requires minimal setup and training. Everything is included in the subscription fee, including software updates and upgrades. Using an SaaS service makes administration easier; provides automatic updates and management; ensures compatibility; enhances collaboration and provides access to users from any device capable of accessing the internet. The new PMS must be able to enhance the guest engagement model, not just act as a glorified cash register. They must deliver more and be profit centers not cost centers. The PMS is the beating heart of your hotel operations, and it must benefit almost every department within the hotel, but most importantly, it must be flexible enough to give your guests the control to choose how they want to interact with your hotel. If the guest elects to check themselves in and go directly to their room, the PMS should enable them to do so. If they want to upgrade or order services prior to their stay, the PMS should let them do this as well. However, if the guest wants to be fawned over like a tried and true VIP, then the PMS should amplify this experience and ensure that they feel exactly like the VIP they would like to be. The front desk is changing, and the PMS will have to change along with it. 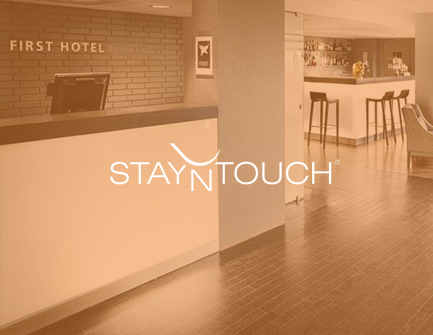 Guests require a different check-in an on-property experience and the PMS, using tablets and various mobile devices [link to: https://www.stayntouch.com/resources/articles/mobile-check-in-check-out-theres-so-much-more-on-the-way/], should be able to deliver on those emerging demands. StayNTouch has taken the future into account, and we have developed our Rover PMS with the new beginning in mind. Jos has a 20+ year track record in hotel software technology. He began StayNTouch with the vision of re-inventing the hotel PMS technology; making it simple, mobile and transitioning the software to the cloud. 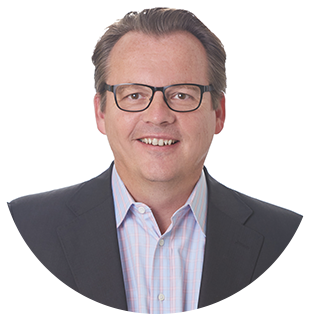 Prior to StayNTouch, Jos spent 17 years at MICROS Systems Inc. (Now Oracle Hospitality), as a Senior Vice President of in charge of global product development and strategy for the Lodging and eCommerce divisions. During his tenure, MICROS’ hospitality products became the global market leader growing the company’s revenues from less than $300 million to $1.1 billion. Jos was responsible for introducing a number of new products enabling MICROS to enter all hospitality segments from limited to full service hotels.